Do not publish. Probably never. Just used this to upload the images to the dot and prepare the html. Use from https://community.kde.org/Promo/graphics. The dot has always been a place where content came first. But it is 2014 and articles without images don't do well. We don't always have images with articles, unfortunately. Sprints have group photo's, much coding work comes with screenshots but sometimes you're just not able to find something fitting to spice up the article. Five years ago, the Krita team decided raise funds to raise Krita to the level of a professional application. That fundraiser was successful beyond all expectations and enabled us to release Krita 2.4, the first version of Krita ready for professional artists! Now, it’s time for another fundraiser, much, much more ambitious in scope! Dmitry Kazakov has worked full-time on Krita 2.8, and now we want him to work full-time on Krita 2.9, too. And it’s not just Dmitry: Sven, who has contributed to Krita for over ten years now, has recently finished university and is available as well. KO GmbH announces extensive support services for Krita, the award-winning graphics application. 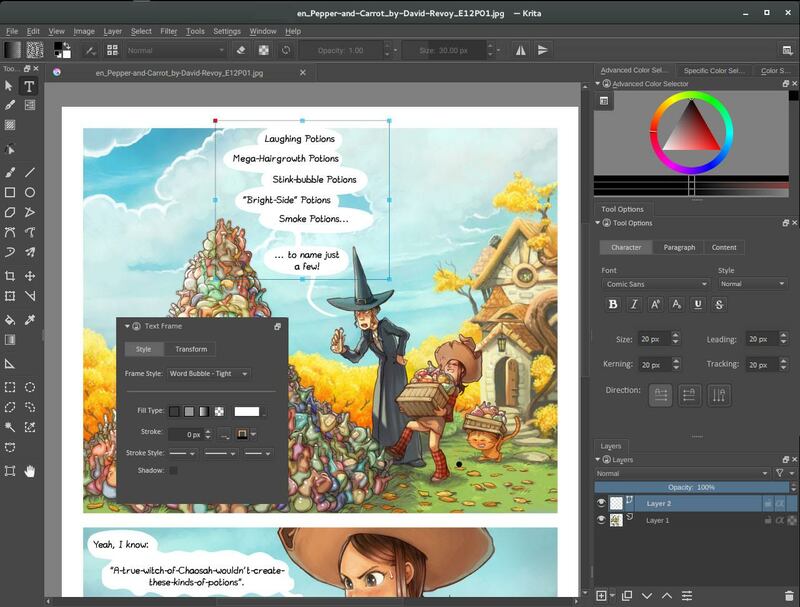 Krita is an advanced paint application with a complete set of professional paint tools that can handle extremely large images effortlessly. It is particularly well-suited for special effects work in the movie industry. A while ago, the KDE promo team organized a competition to choose a design for labels that producers of software within our community can use to show that they are part of KDE. Today we are happy to announce the winning designs. Read on for details of how to download the labels to use. As part of our efforts to better use our brands, we announced a set of labels for use by people creating KDE software. 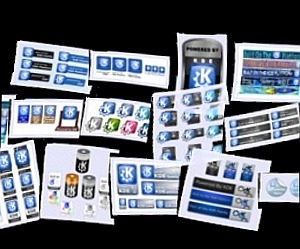 We chose three options: Powered by KDE, Built on the KDE Platform and Part of the KDE Family and asked for artwork for badges and banners carrying these labels. Now it's your turn to vote for your favorite - read on for details.